The Dow Jones Industrial Average projected a 107-point decline this morning as concerns about Italy's debt burden and NAFTA negotiations weighed on investor sentiment. European stocks sank this morning as concerns about Italy's budget and ability to pay off its debts weighed heavily on sentiment. Meanwhile, the Sept. 30 deadline for the United States and Canada to reach an agreement on trade is days away. U.S. President Donald Trump has said he is prepared to move ahead on a deal just with Mexico and to replace NAFTA. Trump has openly criticized Canada's trade representative and her negotiation tactics. Money Morning Special Situations Strategist Tim Melvin unveiled his powerful secret to becoming the only undefeated trader that we know of on Wall Street. He has 119 stock picking wins… and zero… that's right ZERO… losses. And he's unveiled his strategy to an exclusive group of Money Morning readers. Find out how you too can become undefeated… right here. 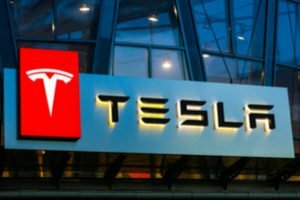 The big news this morning is the U.S. Securities and Exchange Commission's charges of fraud against Tesla Inc. (NASDAQ: TSLA) CEO Elon Musk. The government agency said that Musk issued "false and misleading" statements and failed to use the correct channels to notify regulators of important company events. In this instance, the suit is tied to Musk's August tweet that said that he was considering taking his firm private and that he had secured funding for such a deal. Shares were off more than 14% in pre-market hours, and the sell-off could pick up when the markets open. Should Musk be found guilty on these charges, the SEC could bar him from servicing as an officer or director of a publicly traded organization. Housing stocks continue to face pressure as mortgage rates sit at a seven-and-a-half-year high. Following the U.S. Federal Reserve's decision to raise interest rates on Wednesday, mortgage rates pushed higher and added new challenges to an industry that has been sputtering in recent months. The 30-year fixed mortgage rate averaged 4.72% this week, up from 4.65% last week. That is the highest level for mortgage rates since April 2011. Shares of Bed Bath & Beyond Inc. (NASDAQ: BBBY) plunged 21% after the company reported a huge blow to its financial margins during its earnings report. Shares fell to a near-all-time low after the firm missed second-quarter guidance and continues to struggle to complete against Amazon.com Inc. (NASDAQ: AMZN) on price and discounts. After the report, investment firm Wedbush cut its price target on BBBY from $18 to $15. Shares of Amazon.com Inc. (NASDAQ: AMZN) were on the move after an analyst of Stifel raised his price target for the stock to $2,525 per share. That would be a roughly 25% jump from current price levels. This stock price would put the e-commerce giant's market capitalization at roughly $1.2 trillion. Shares of Apple Inc. (NASDAQ: AAPL) continued to climb after JPMorgan Securities rated AAPL stock as "Overweight." The firm set an aggressive price target of $272 per share. That huge price target is based on increased revenue and profit expectations from Apple's services business and from higher margins from price increases to its iPhone and other devices. Today, look for earnings reports from BlackBerry Ltd. (NYSE: BB), Vail Resorts Inc. (NYSE: MTN), Sky Solar Holdings Ltd. (NASDAQ: SKYS), and Aceto Corp. (NASDAQ: ACET).